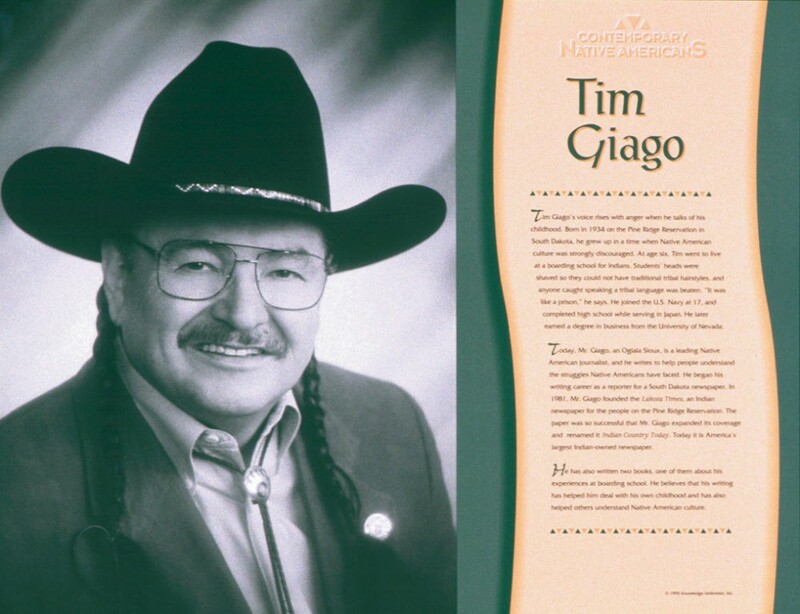 This educational poster of Native American writer, journalist, and publisher Tim Giago features a striking photo of him, as well as biographical text describing his life and accomplishments. 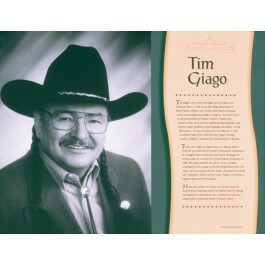 Tim Giago was born on a reservation, and grew up at a time when Native American culture was discouraged. As an adult, he has used the power of the printed word to help people understand the struggles Native Americans have faced. He founded America's first independently-owned Native American newspaper, has written books, and continues to write columns today.